In 2008 TFL first announced they planned to build cycle superhighways and the original map (below) shows that almost all of them were planned to be built on the main roads leading into and out of Greater London. This was following a 12-month study of the most popular roads already used by cyclists. These were expensive routes despite just being some bright blue paint on the road which offered no protection whatsoever and had cars parked on top of them in many places. After several people died cycling along CS2 on the A11 TFL are now upgrading most of the superhighways that have already been built and making the majority of the routes properly segregated. "Creating a quality environment for cycling is generally recognised as being concerned with providing accessible, direct and convenient, attractive, safe and comfortable routes for experienced and less experienced cyclists alike to provide access to key destinations such as the borough’s town centres and other key destinations for employment, education and leisure. 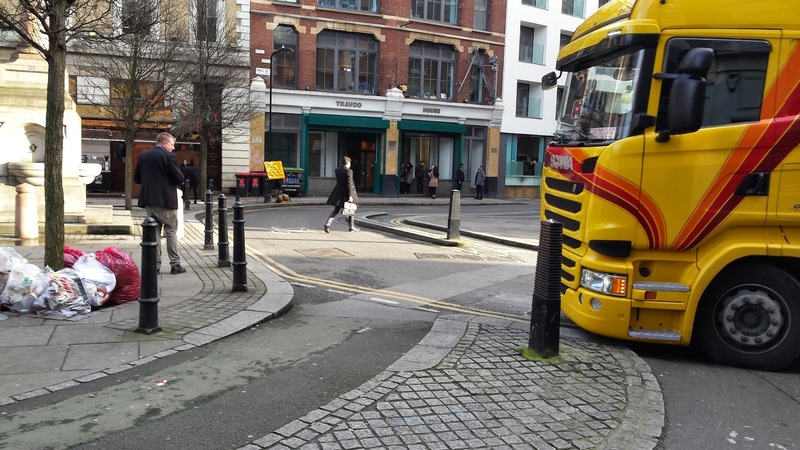 Cycling routes need to legible and intuitive, continuous and uninterrupted by barriers or loss of priority.It is inevitable that cyclists will continue to use our busy high streets and strategic roads that carry high volumes of vehicular traffic because often they are the most direct and quickest routes." "We will offer two clear kinds of branded route: high capacity Superhighways, mostly on main roads, for fast commuters, and slightly slower but still direct Quietways on pleasant, low-traffic side streets for those wanting a more relaxed journey." 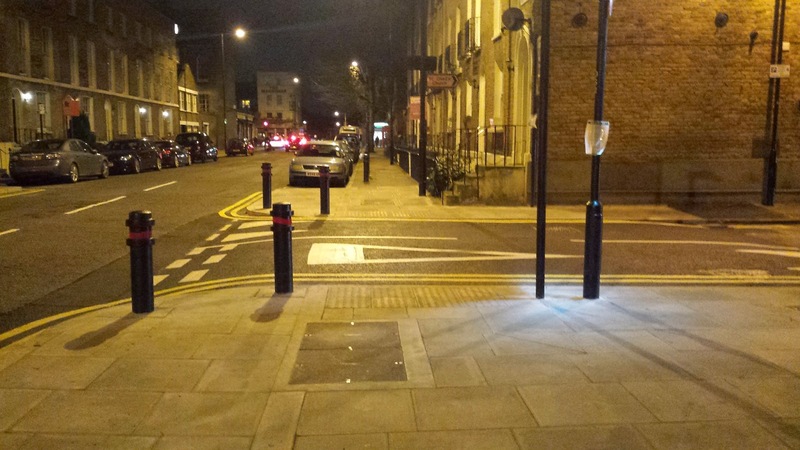 Therefore CS1 should instead be referred to as a quietway as, certainly on the section within Hackney, it runs almost entirely on side streets and not on the main roads. It also isn't a new cycle route either but instead improvements to the existing parallel LCN+ route. TFL dress it up in the consultation by describing it as an "A10 bypass" forgetting to point out that this also bypasses the town centres, shops, homes and businesses that people need to access in the area. TFL would never propose to amend the bus services from Central London to Tottenham to run along side roads for the simple reason that unless you live on these back roads you generally won't want to visit them. 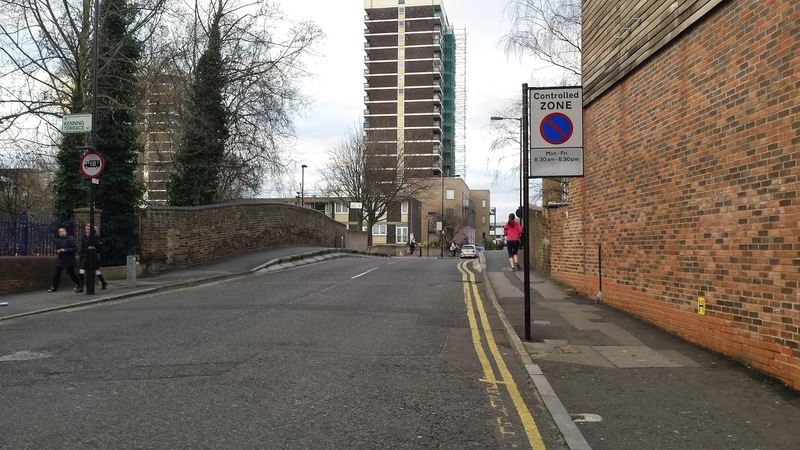 Likewise Hackney Council are not intending to make the pavements along the A10 narrower to try and force pedestrians to use back roads in an attempt to stop them being exposed to pollution or whatever other excuse they're drumming up for moving CS1 off the A10. Despite the fact that CS1 should run in its entirety along the A10 this, mistakenly, is not an option out for consultation by TFL. 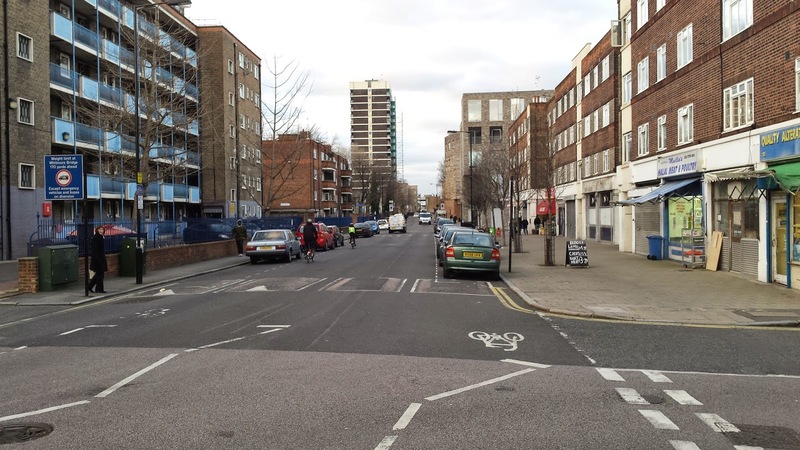 Therefore I shall review the consultation for the section of CS1 which is proposed to run through Hackney. It starts off with a sign which highlights this is the start of CS1, which is just as well as without that it would just look like any other car dominated street. It continues north with car parking remaining on both sides of the road. The cycle lane into Finsbury Square, which is actually part of the ring of steel, needs widening. The route should take priority over Worship Street. Leonard Circus could be a nice public space but it is dominated by motor vehicles. Some do slow down and move through quietly whilst others speed through the area, indeed one of the fences around the trees has had to be replaced already as a vehicle crashed into it at high speed. A lot of lorries and vans travel through here as it's a very busy rat run, especially for people trying to avoid the Old Street Roundabout - only expect this to get worse when works start on improving the roundabout. Many of the streets in the area here bounded by Great Eastern Street / City Road / London Wall / Bishopsgate need filtering. 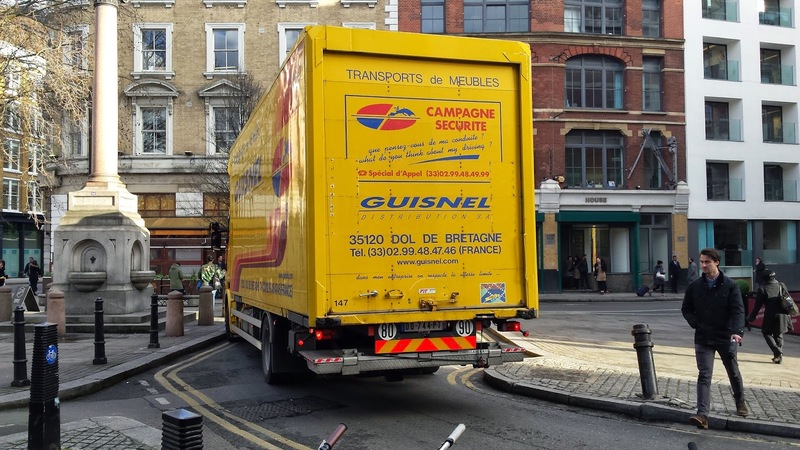 The road that links Tabernacle Street to Paul Street is to be turned into "shared space for motor vehicles, cyclists and pedestrians". Sounds lovely. 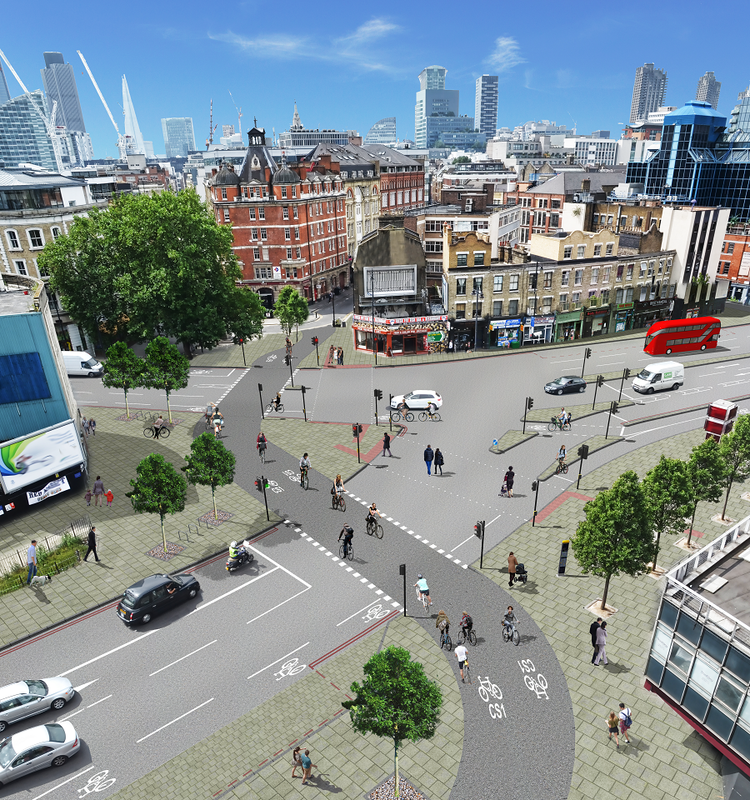 The artists impressions of the plans above for Apex Junction is what TFL use first in the various press releases about this scheme for a good reason - this is where it actually looks like a proper cycle route! I strongly welcome the closing of Pitfield street although worth noting that traffic that can't currently access Pitfield Street from Old Street westbound mostly uses Boot Street and therefore both Boot Street and Coronet Street should also be filtered to stop this from happening. 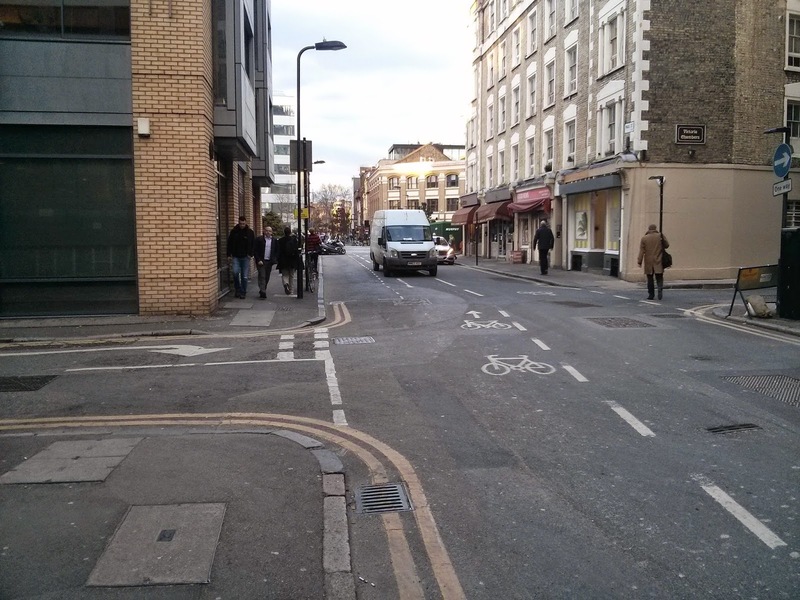 I like the segregated track eastbound on Old Street approaching Pitfield Street and it is great to finally see the mistakes that were made of providing no cycle tracks when the Shoreditch one way system was returned to two way in 2002 are now being corrected. I'm pleased the large amount of cyclists travelling from the Old Street Roundabout towards Hackney Road or the A10 now get some dedicated space but disapointed to see nothing for people cycling westbound towards the Old Street Roundabout. Brian Jones came up with a decent rough sketch so I'm sure TFLs engneers can do better. 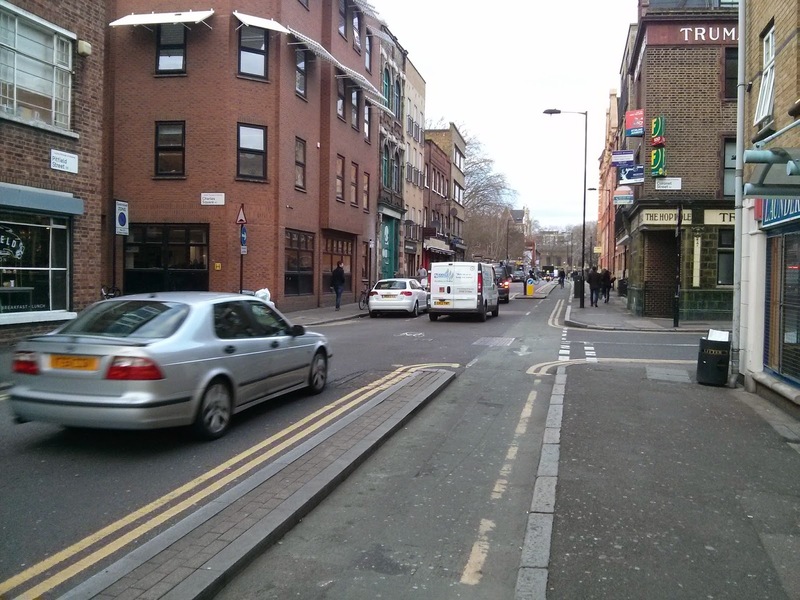 The Loading bay on the eastbound carriageway should be outside the cycle lane, ideally with a "loading bay bypass". 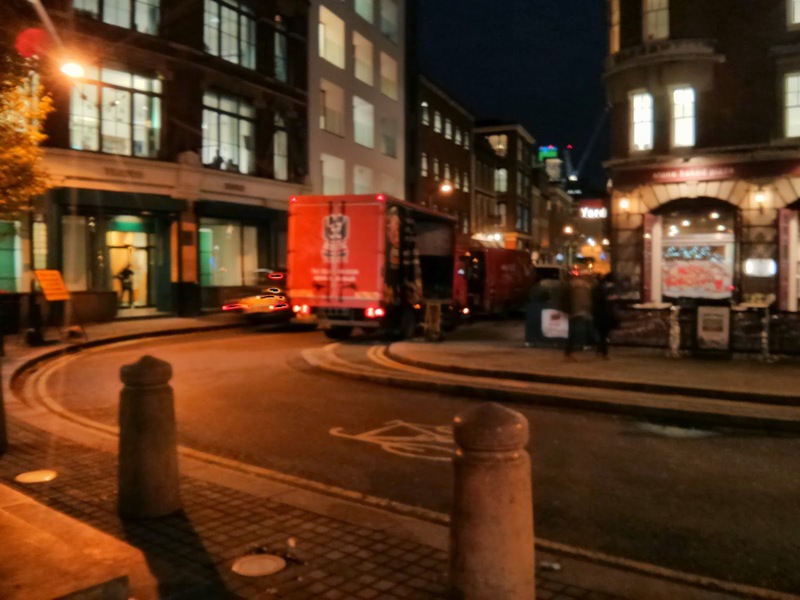 Pitfield Street is to be restored for two way traffic but I can't see how that is an improvement for people cycling at all. 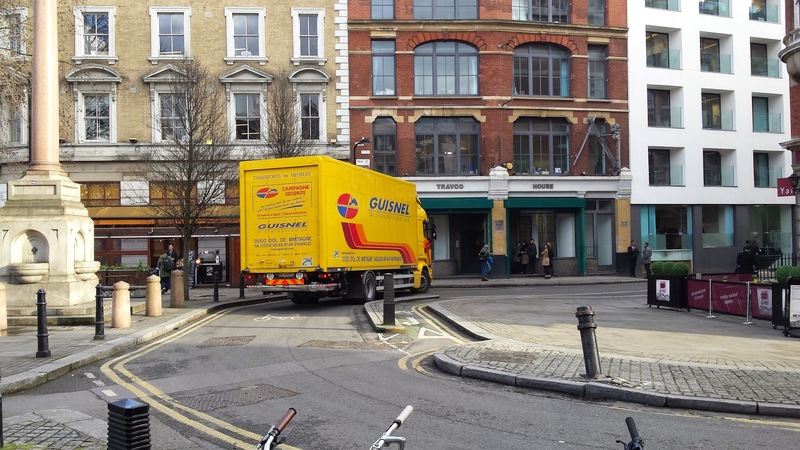 Simply turning a one way street into two way does not automatically make it an improvement for people cycling and I've never understood why the Hackney cycling campaign say that they want ALL roads in Hackney to be returned to two way. 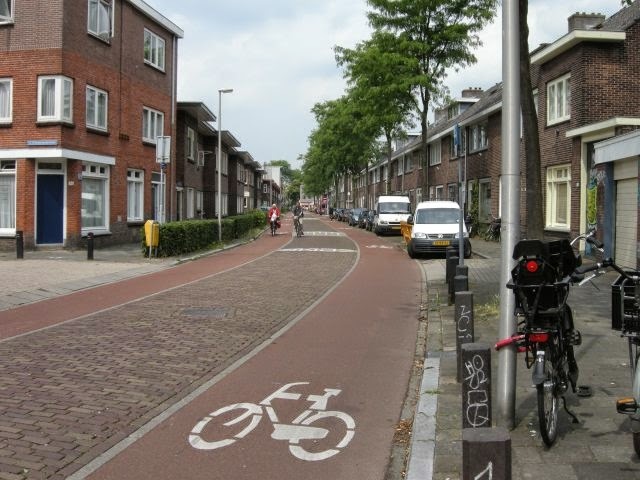 Keeping roads one way for motor vehicles can help to reduce the amount of motor traffic in the area whilst leaving more room for cycling infrastructure. 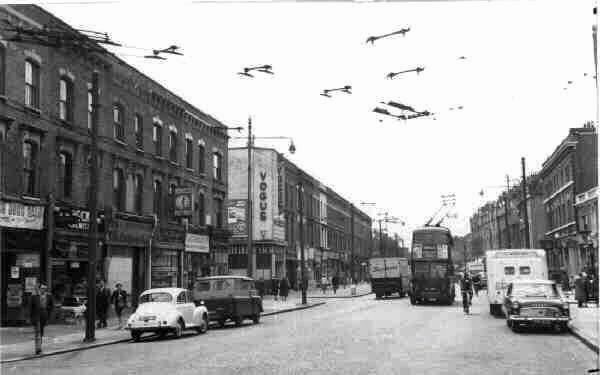 Mark Treasure has covered this in a very good blog post and the image below is just one example that we could use to base similar treatment of Pitfield Street on. Whilst this is a definite improvement it is still designed to appear that the pedestrian gives way to the car so I would much prefer continuous pavements on these side roads instead. Whilst the removal of the roundabout will make cycling through here a lot safer keeping roads such as Bevenden Street and Fanshaw Street open is only going to either keep traffic levels high in this area or perhaps even increase them, due to making Pitfield Street two way. 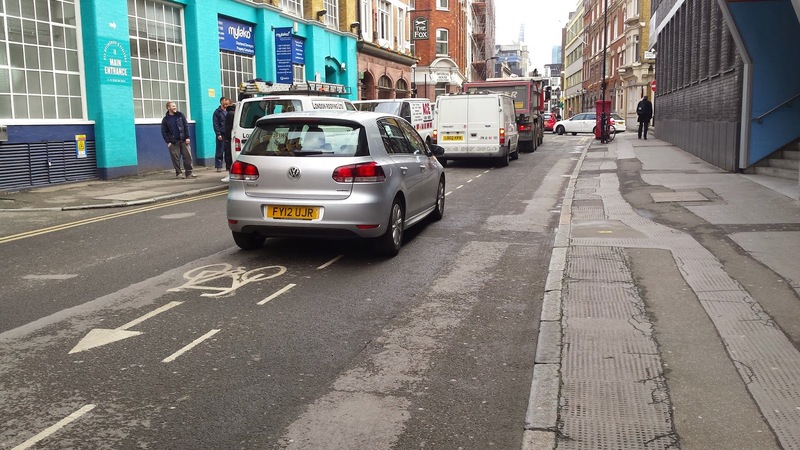 This section of Pitfield Street and Whitmore Road is currently an unpleasant road to cycle along and it is such a disappointment to see hardly any measures whatsoever to change this. Motor traffic, and white vans in particular, dominate this street and race through it at high speeds; this is a road where we should be concentrating our efforts on getting enforcement of the current 30mph speed limit before pushing for 20mph. 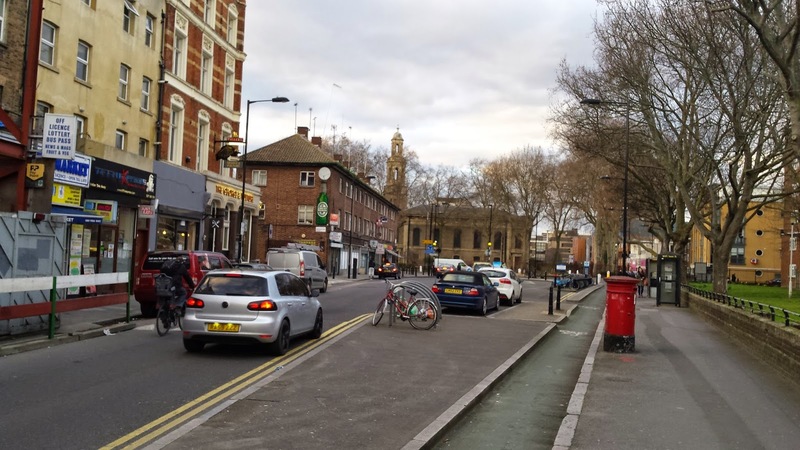 Is it any wonder only 2% of children cycle to school in Hackney when you look at the picture above, this is cycle superhighway 1 right outside St John the Baptist primary school (where nearly 10% of children arrive at school by car). There are no plans for this stretch of road in the consultation beyond resurfacing. This whole area needs a lot of road closures, not just on Pitfield Street but also on the side roads so it can no longer be used as a through route between New North Road, Hoxton Street and the A10. 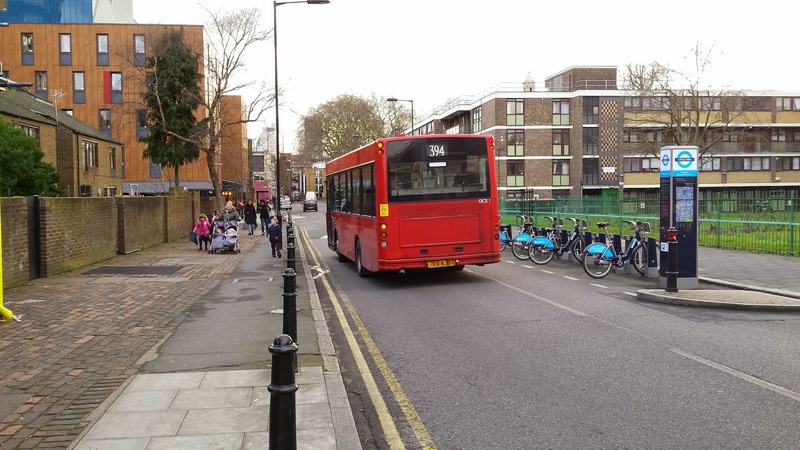 This also includes the re-routing of bus route 394; you can't promote a road as a "cycle superhighway" run it along back streets and then continue to run bus services along these back routes and keep them open to the large amount of rat running traffic that already uses it. It is ludicrous. This is about as far from 8 to 80 cycling as you can get, and keeps cycling in Hackney firmly in the 18 to 38 category. Absolutely no chance of children or the elderly cycling here in comfort and safety and not a place where it is, to quote from the Hackney Council Cycling plan, "second nature for everyone, no matter what their age, background or ethnicity to cycle"
As I took these pictures the bully in the van below revved his engine and beeped his horn as he overtook two people cycling obscured from view. A horrendous place to ride a bike and the type of road which makes people give up cycling once they get to a certain age, or after a certain number of close passes. It is nothing short of a scandal that no dedicated cycling provision or removal of motor traffic is being offered here, on what is meant to be a "cycling superhighway"
Balls Pond Road is a busy road used by approximately 100 buses an hour at peak times (including bus route 38 which is London's busiest bus route by frequency with 35 buses heading this way from 7am to 8am on weekdays), as well as many other motor vehicles and is clearly no place for someone to share the road whilst on a bike. It is three lanes wide with one of these lanes an eastbound bus lane, TFL state that 90% of buses do not use it; not a single vehicle bar bicycles used it for the ten minutes I was stood here. It therefore makes sense for this space to be reallocated to bikes instead. 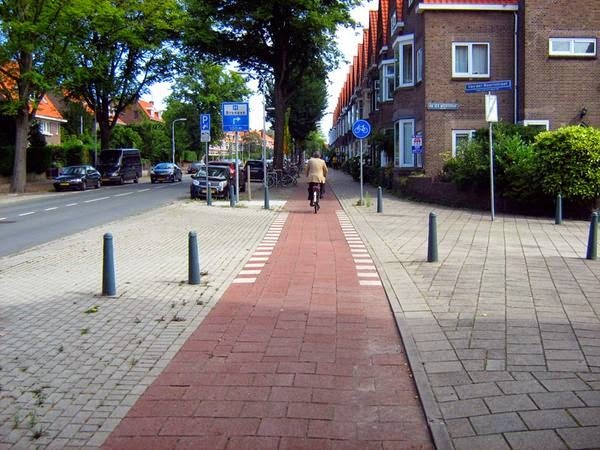 Option A offers no protection whatsover and therefore Option B should be installed but with a feeder lane for people already cycling eastbound to access the cycle track at the crossing instead of the enlarged pavement. Defoe Road and Nevill Road are lined with cars on both sides of the carriageway so there is only just enough room for a car and cycle to pass with little room for error. So that's the "not very super highway that has very little cycling provision 1". In a way it is almost a shame that TFL didn't stick some blue paint down on the A10 a few years ago as we now might be getting money spent on upgrading cycling facilities on the A10, just as they are currently doing along the A11 in Tower Hamlets. 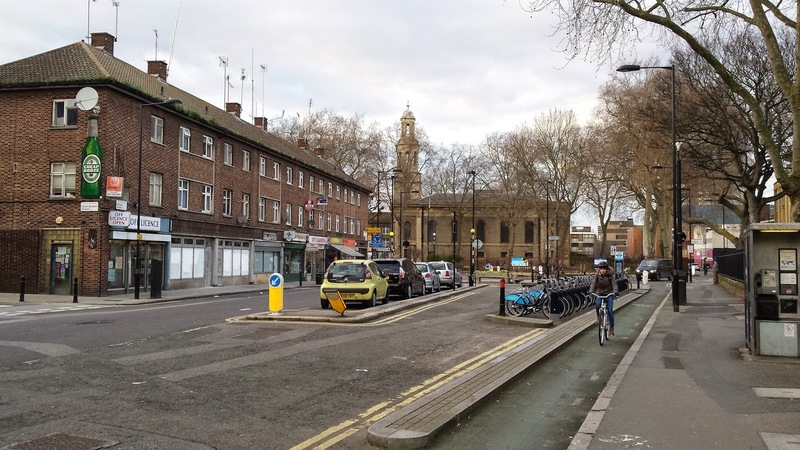 CS1 might be a decent cycle route for you if you live on or just off the route, you've generally confident cycling among motor traffic and want a route from somewhere like Stoke Newington Church Street to De Beauvoir Town (as long as it is before nightfall). However it does nothing whatsoever for people who live and work to the east of the A10, such as in Haggerston or Clapton. Likewise if you're a driver then you shouldn't be inconvenienced too much as you can still access the vast majority of it and I'm sure the clever cabbie will still be recommending people to use the majority of route, as he or she already does with other sections of LCN+. There should really be no need to have this consultation; improvements such as the closures of Pitfield Street and Wordsworth Street should be standard highway improvements that local councils carry out continually. Large investments and lengthy consultations should consist of schemes such as the East-West Superhighway; High Quality cycle tracks on main roads. Any other city in the world planning CS1 would reallocate space on the A10 for it; either do it properly or not at all. The Council recognises that cyclists use a combination of routes depending upon their levels of confidence and the fact that is often difficult to avoid busier principal roads to reach your destination. Busier principal roads with heavier traffic flows also tend to be faster and more direct than quieter routes and are often used by more confident commuter cyclists. The previous chapter established that the majority of cyclist accidents in the borough occur on the busier principal roads. 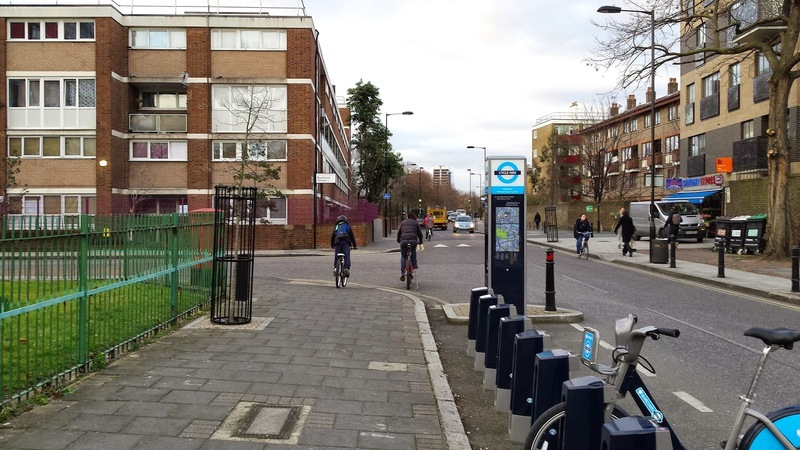 Therefore in addition to completing our network of Quietway routes on quieter roads that are ideal for less confident cyclists we will also look to develop and improve conditions for cyclists on our principal routes. The A10 is a busy route for all types of motor traffic but that is because it is a place where people live, work and want to visit and is the most direct route both connecting and leading directly through the centre of Tottenham, Stamford Hill, Stoke Newington, Dalston, Haggerston, Hoxton, Shoreditch and the City. 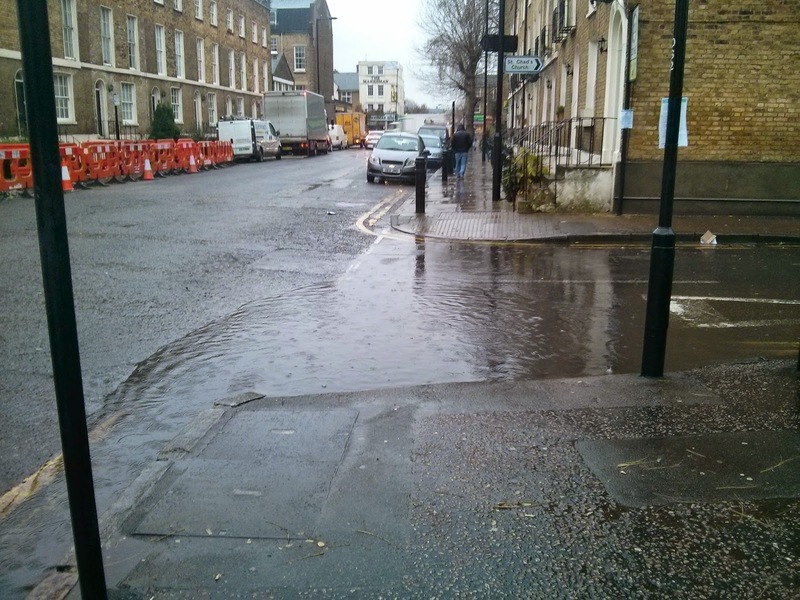 This is the same reason that the A10 is a popular cycle route. The one thing we don't need is even more buses ploughing down the A10, we need a reduction in bus journeys and active travel promoted as a safe and serious alternative. Improvements to back roads and filtered permeability are great improvements for the local community as a whole and are vital if we want people to cycle from their homes to their school or place of work. 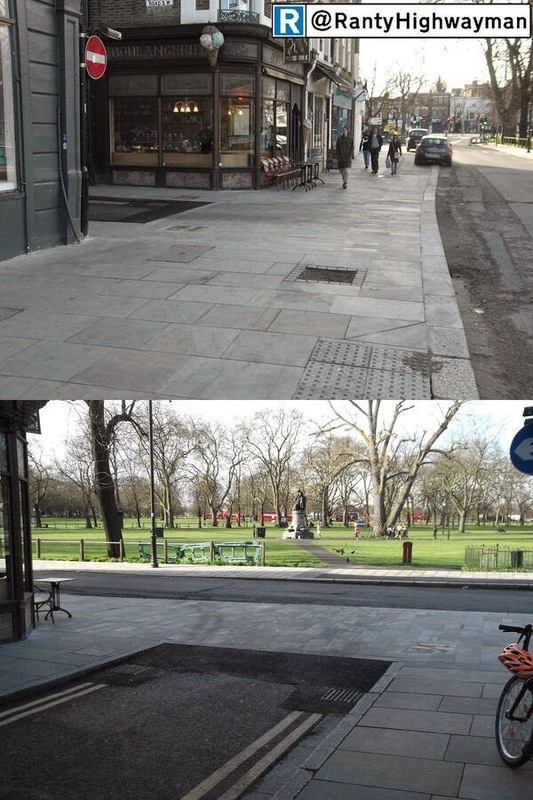 Improvements such as this are needed throughout London but only if it is in addition to clear, safe and direct cycle routes on the main roads so people can ride wherever they like, just as they do in the Netherlands. 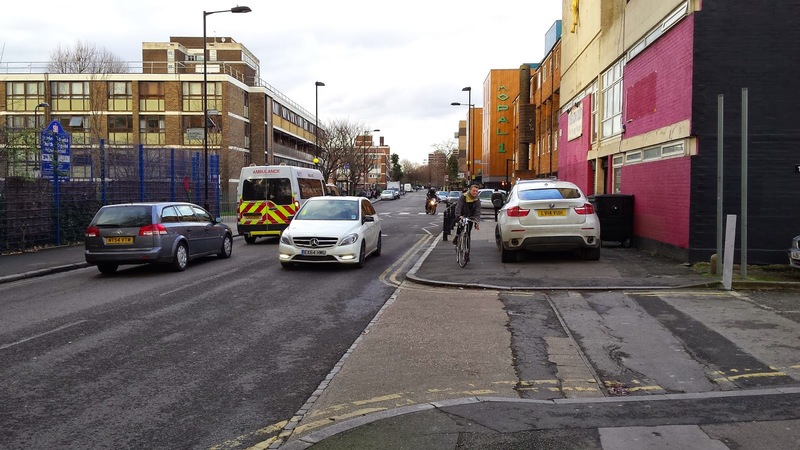 If Hackney is to continue to deliver cycling improvements yet none of these include clear protected space on the main roads then I fear the 93% will stick to using alternative methods of transport and roads such as the A10 will continue to be the biggest graveyards for people on bikes in Hackney. 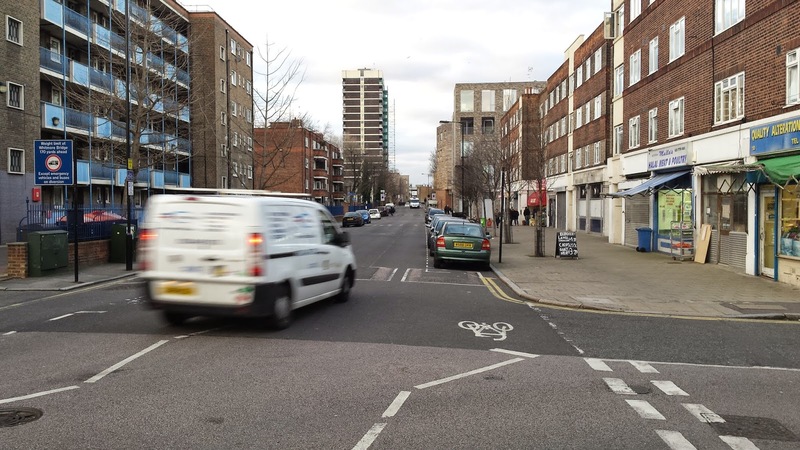 The CS1 consultation is open until Sunday 29th March. Please respond here.